Thursday I spent some time visiting the cats at the Shelter. 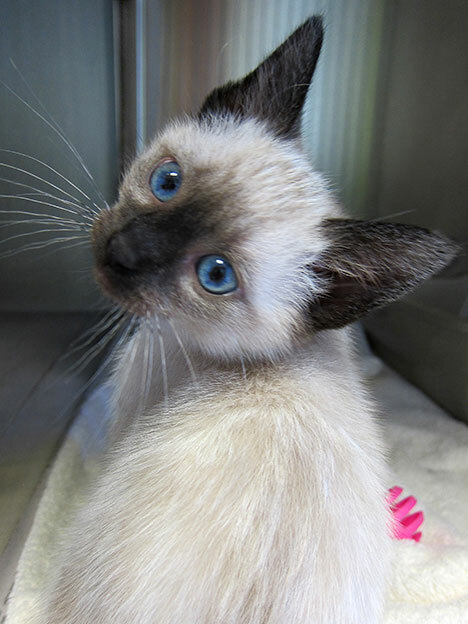 I’m glad I met beautiful Siamese kitten Kiet, because I have a feeling he’ll be adopted before I go back on Sunday. Who could resist those blue eyes? Yes! He’s spending the holiday weekend with his new family.